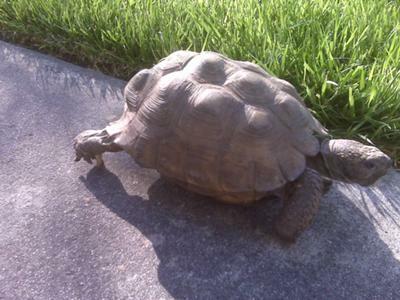 Is this a gopher tortoise? hi i have had this tortoise for a couple of years but i dont really know what kind is it? i think it might be a gopher tortoise but im not sure. I "thought" it was/is perhaps a sulcata.